I’ve said it once and I’ll say it again, I absolutely LOVE catching local bands, especially when they are coming to the end of a tour in their hometown. There’s an atmosphere of anticipation and excitement that clings to the air and it’s almost always guaranteed to be a lively affair. And this was definitely the case when Deep.Sleep hit The Cumberland Arms in Newcastle on 9th November. 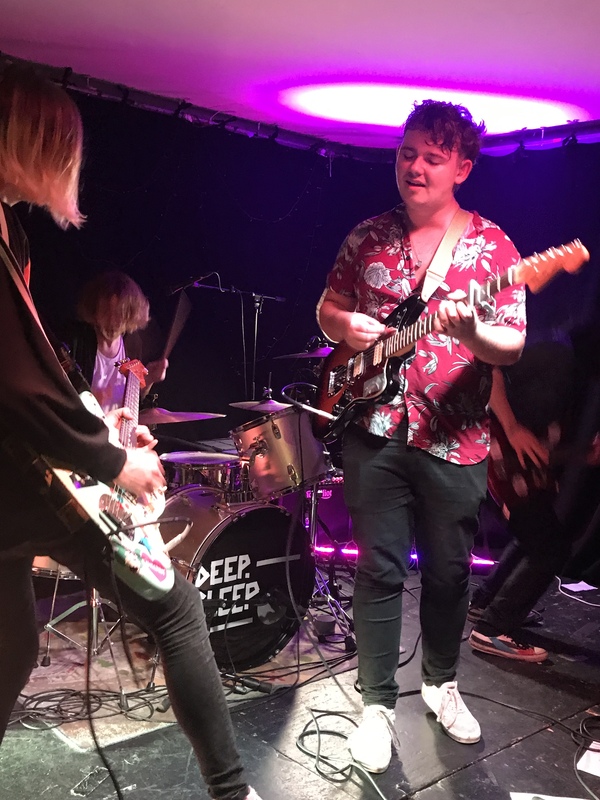 I’ve had my eye on Deep.Sleep since they released ‘Orange English Sun’ back in the summer so it was an absolute dream when music management organisation Pillar Artists announced that the guys would be playing at the Cumby with three other fantastic acts. With a string of festival dates under their belts already, I was lucky enough to catch them at Kendal Calling on the Woodlands Stage and they were awesome, as well as completing an epic UK tour, I was intrigued to see how they’d be as they returned home to the Toon. 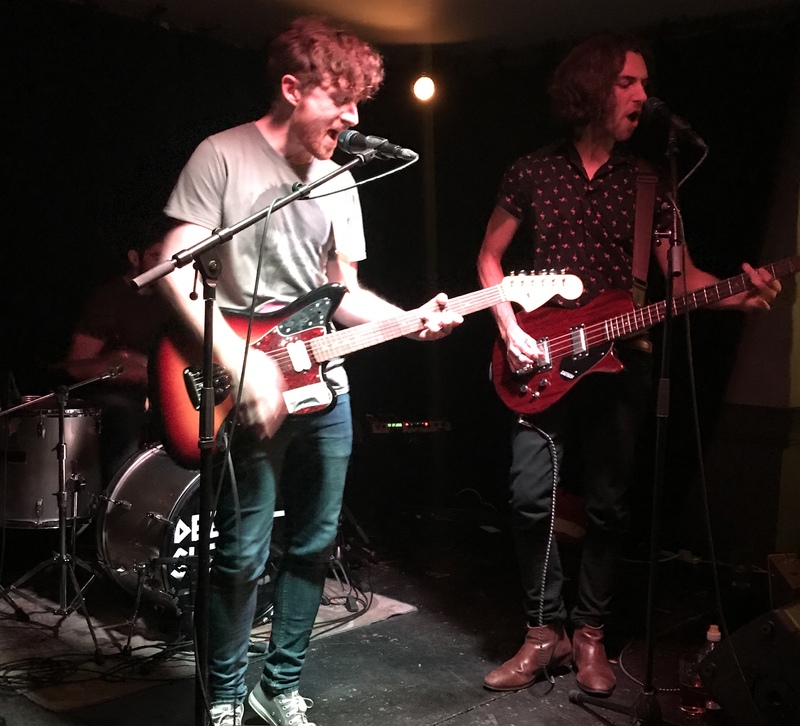 First to take to the stage was Newcastle indie-pop quartet Mayfare with their upbeat melodies combining funky guitars and catchy lyrics. Alongside the poppier tunes such as ‘Better Days’, track ‘Petty Thoughts’ brought it down a notch with its super smooth instrumental, showcasing a perfect balance of energetic floorfillers and one for those slow dancers at the end of the night. A lush opener in my opinion. Next up was Salsola and unfortunately I actually missed them due to popping out for some much needed fresh air, not very rock and roll I know. I could however hear the outfit slightly from downstairs and they sounded awesome so I promise I’ll be rushing to see them soon! Third up on the bill was Yorkshire trio Able’s Army and their huge indie-rock anthems. Captivating on stage, these guys definitely delivered much more than I expected having only been around for two years. With definite hints of early Arctic Monkeys, explosive drums and energetic guitar patterns, they reminded me of the style of music that officially got me into proper indie rock. They were brill and I’ll definitely be keeping my eye on them. Soon enough it was time for Deep.Sleep to take to the stage and it was a perfectly raucous affair. Despite frontman Dan Frend tackling some guitar issues at the start, the lads managed to hold it together before launching into a packed set including favourites ‘Orange English Sun’, ‘Slowdown’ and the massive ‘1994’. Commanding the audience to get down low for the intro to ‘Soho’ before jumping into a frenzy, a stage invasion from all their nearest and dearest and an encore, this was pretty much everything you want from a proper gig. Infectious soundscapes, explosive guitars, funky basslines and anthemic choruses aplenty, Deep.Sleep are that complete breath of fresh air to remind you that heading to a gig is really all about having fun. 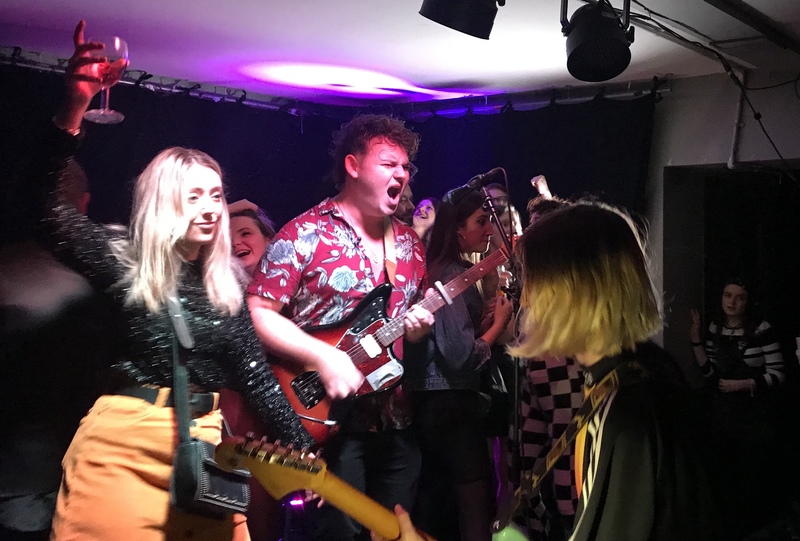 Their boyish charm and catchy melodies have had me hooked for months and now they’ve proved they can put on an epic show to a packed venue, you’ll be seeing me down the front more often.